Palm Beach County wants to mow overgrown lawns, board up broken windows and fence off pools on unattended "nuisance" properties the county says pose a danger. But there's a catch: Future homeowners will pick up the tab. While county officials want to tack the clean-up costs onto the offending property's tax bill, Bill Richardson, president of the Realtors Association of the Palm Beaches, on Monday called the county's proposal "an end-run around the legal system." "We are in favor of cleaning up properties that are an eyesore, but all [the county's proposal] does is add … a cost to the transaction," Richardson said. "It's not really accomplishing what they want to accomplish." Palm Beach County plans to resume cleaning up abandoned properties, but in a new attempt at recovering taxpayers' costs for emergency maintenance, it would add the clean-up costs to the offending properties' tax bills. Those tax bills would have to be resolved before the properties could be bought. The County Commission is scheduled to vote Tuesday on the new clean-now, tax-later approach, despite misgivings from Richardson's members. Formerly, the county put liens on properties that required county maintenance, but the courts often reduced or eliminated those liens during the foreclosure process. Instead of adding fees, the county should be taking steps to encourage sales and keep homes occupied, Richardson said. The county's previous pool of money for these kinds of cleanups evaporated — about $100,000 a year — during budget cuts. The proposed tax assessment combined with the county's new $150 fee tacked onto foreclosed properties would allow county crews to get back to work cleaning up and securing unsafe properties. "There hasn't been money lately to do any of that," said Barbara Alterman, county planning, zoning and building director. "This would be a way of collecting that money." More than 500 properties are included on the new Palm Beach County foreclosure registry, intended to help code enforcement officers keep track of who is responsible for maintenance problems. Realtors may balk, but an influential South County neighborhood group supports the county's proposal. Abandoned homes stuck in foreclosure have been creating maintenance problems and costs for many of the neighborhoods that make up the Coalition of Boynton West Residential Associations, said Ken Lassiter, president of the group known as COBWRA. Without the county's help, many homeowners associations have been mowing lawns and in some places even painting homes to deal with eyesores that hurt surrounding property values, Lassiter said. "It's a problem … It affects the whole community," Lassiter said. "Nobody wants to live next to that." The county's new clean-up program, modeled after a similar effort in West Palm Beach, targets dilapidated homes and businesses outside city limits. Alterman said the county's primary targets would be pools at abandoned homes without fences or locked screen enclosures to keep out children, which can pose a drowning risk. They would also go after overgrown lawns that attract pests or homes that have suffered from fire or other structural damage. The idea is to use limited resources to shore up unsafe properties, not try to tackle every unsightly structure languishing in foreclosure. "It's a safety issue," Alterman said. "I don't think we can cure every property value issue, but clearly we can look at the safety issues." 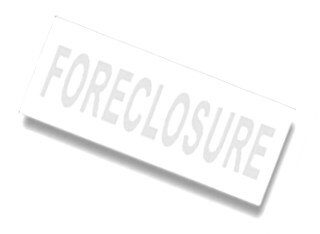 The planned clean-up follows the county's newly created foreclosure registry and fee. The registry creates a database of properties in foreclosure and requires banks to provide contact information for the property management companies responsible for code enforcement problems. The $150-per-property registry fee — half of which goes to the private company that maintains the registry — will help get the county started on maintenance work of unsafe properties, Alterman said. Richardson warns that switching from liens to taxes could take away the flexibility needed to get some properties sold. He said he handled the sale of a foreclosure where a property on sale for $70,000 had racked up nearly $500,000 in municipal code fines. The sale was able to proceed after negotiating a reduction in the lien to less than $10,000. The county's new foreclosure registry fee and the proposed tax-bill approach to recovering maintenance costs may have more to do with the county's budget squeeze than dealing with empty homes, Richardson said. "They are looking at any which way they can to add revenue to their budget."